I’ve added a poster, stills, and HD screencaptures of Jennifer as Rosie Dickson in Dumplin’. 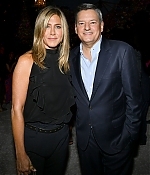 I’ve added over 800 photos from events that Jennifer attended in 2018. I am organizing the gallery so if you see any broken photos or categories out of place that is why. Sorry for the inconvenience. 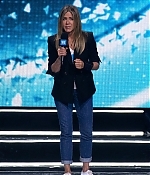 Welcome back to Jennifer Aniston Online! Hello, my name is Samantha. I am the new owner of Jennifer Aniston Online! The site was originally called Anistunned and I decided to rename the site. I want to thank Aniek for handing the site over to me. I started a Jennifer site years ago, you may remember it (Jennifer Aniston Web). I am a huge fan of Jennifer and I am so excited to get started. To start, I have put up a new layout designed by Sin21 Designs. I hope that you all like it. I will be working on our site content so keep checking those pages. I am also going to rebuild our gallery one section at a time and add the new stuff that we are missing. Thank you for your patience as I work on everything. Please bookmark www.jennifer-aniston.org and follow us on twitter for all the latest on Jennifer. 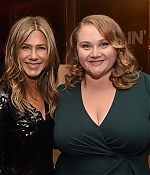 Netflix has bought Jennifer Aniston’s comedy “Dumplin,’” and plans to release the film on the streaming platform later this year in the U.S. and select international territories. 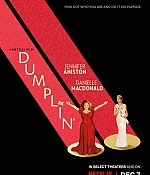 “Dumplin’” will also be released in select U.S. theaters. Danielle Macdonald stars alongside Odeya Rush, Dove Cameron, Harold Perrineau, Bex Taylor-Klaus and Ginger Minj. Anne Fletcher directed from a script by Kristin Hahn, based on Julie Murphy’s novel. Dolly Parton has recorded new versions of her songs with collaborators such as Sia and Miranda Lambert, in addition to six new original songs co-written by Parton and Linda Perry. Michael Costigan, Mohamed AlRafi, Hahn, and Trish Hofmann produced. AlRafi produced through 50 Degrees Entertainment. Aniston and Danny Nozell executive produced. Variety first reported in 2015 that Disney acquired the movie rights preemptively prior to publication of Murphy’s Texas-set novel with Costigan producing. Disney decided not to go ahead with the project. News of the Netflix deal was first reported by the Hollywood Reporter. Welcome to Jennifer Aniston Online, your online fan source for Jennifer Aniston. Jennifer is probably best known for her role as Rachel Green in the hit NBC sitcom, Friends which ran for 10 seasons. You may also know her from her other roles in Picture Perfect, Along Came Polly, The Break-Up, Marley & Me, and Mother's Day. Here you will find news, information, photos, media and more! I hope that you like the site and please check back often for updates.